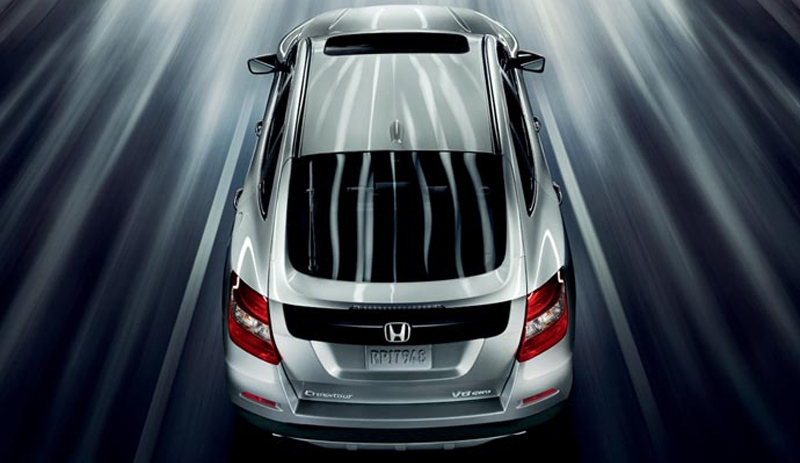 The 2014 Honda Crosstour is in a league of its own. With the spirit and driving style of a car, a larger cargo area and a taller, more aggressive stance, the Crosstour goes toe-to-toe with the crossover SUV class. This includes competitors like the2014 Nissan Murano. Besides a tougher looking design, the Crosstour has a lot more that makes it a more appealing option for many drivers. Overall, the Crosstour offers more versatility than the Murano, both in terms of powertrain and comfort options. Let’s look closer at how the two models compare. The Crosstour comes standard equipped with a 190 hp 2.4L four-cylinder engine under the hood, delivering an EPA estimated 22 mpg in the city and 31 mpg on the highway with two-wheel drive. This is compared with the EPA estimated 18/24mpg supplied by the 260hp V6 on the Murano. Now if power is your thing, the Crosstour has a 278 hp V6 option as well, delivering an EPA estimated 20 mpg city and 30 mpg highway with 2WD and 19 mpg city and 28 mpg highway with the 4WD option*. That’s more power than the Murano’s V6 along with better efficiency. A great vehicle to take to the downtown office or on an outdoor adventure, it’s tough to go wrong with the 2014 Crosstour. If you would like to learn more about the Crosstour, as well as take it for a test drive, stop by Middletown Honda, near Mechanicstown. Middletown Honda is located at 520 Route 211, a short drive from many different communities around OrangeCounty like Mechanicstown. Feel free to give our team a call if you have any questions about the Crosstour or financing. We’re here to help!